We will now focus on the “beer caddies” used to get the beer from the brewery to the distributor, especially in the 1990s. A long time ago, brewers shipped beer in cars that advertised their product. Per the Colorado Railroad Museum, for several years beginning in 1934 Adolph Coors Company had a fleet of 30 of these cars to transport its product in the Rocky Mountain area. This advertising practice continued through the 1960s. Hamm’s Beer boxcar from the 1960s. More recently, beer is shipped in cars lettered for railroads or private leasing companies. 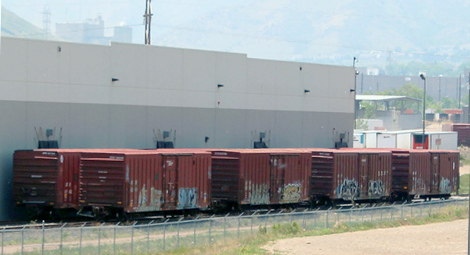 Coors Brewery in Golden, CO, shows 8 railroad boxcars simultaneously being loaded with beer for distribution. 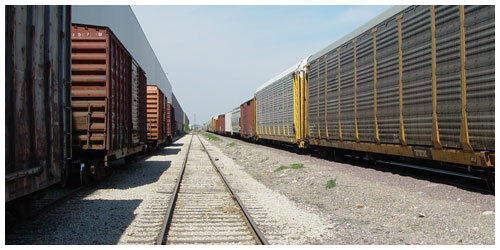 These 8 boxcars alone carry the same amount of beer as 32 semi tractor-trailers. The above cars waiting to be loaded at Coors Brewery are lettered for BNSF and predecessor road, ATSF. Below is a closer photo of such cars. Now for some 1990s beer cars that could appear on my ATSF in Roswell in the 90s. ATSF 621056 in Bethlehem PA, October 12, 2007–Photo by Richard Leonhardt. 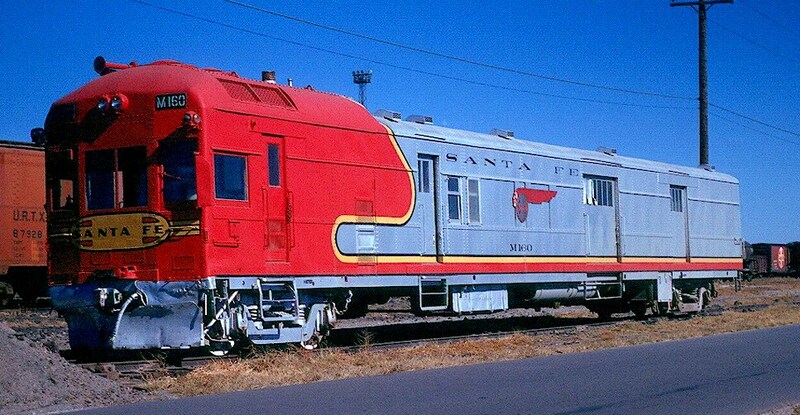 Many ATSF cars similar to this one delivered beer to the Budweiser Distributor in Roswell in the early 1990s, often in cuts of 3 or 4 cars. For a modern illustration of beer traffic on rails, enjoy this video on a BNSF beer train near Golden, CO November 16, 2012. I like that one too. Kind of the same message either way. Per the Beer Institute, there are a lot of folks out there trying to give us more “proof.” There are almost 3,000 brewers in the United States. About 200 million barrels of the stuff was produced last year or about 19 gallons per American. That’s a lot of beer. When consumed correctly, that’s a good thing–it makes a lot of jobs (including rail-related jobs) and brings us pleasure. 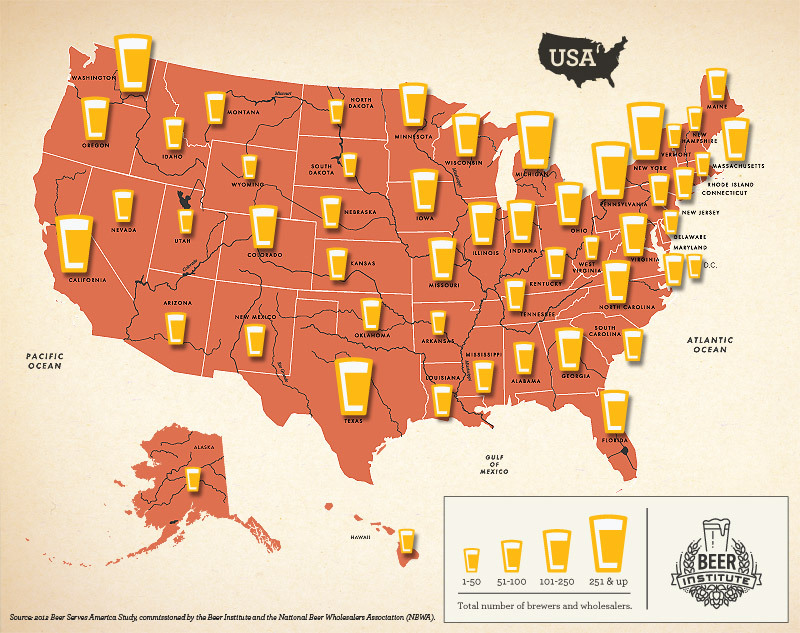 Also per the beer Institute, all 50 states produce it. 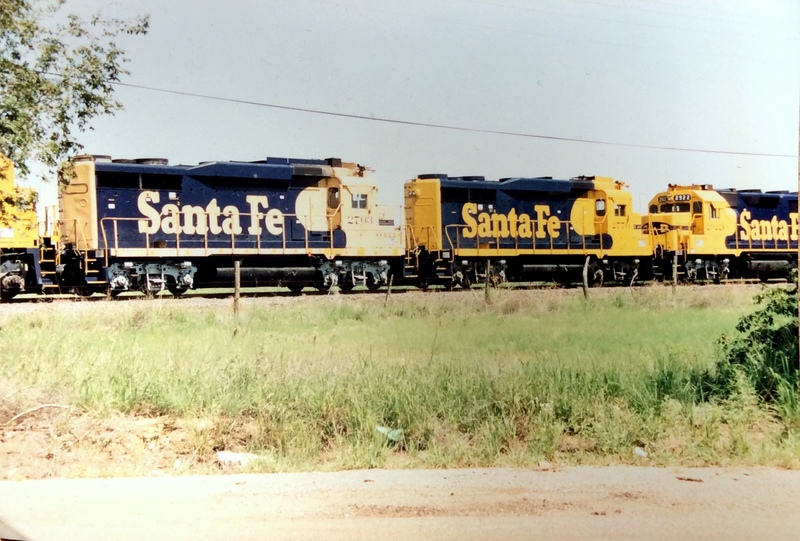 2. how beer is (and was) shipped, particularly in the 1990s, the era of my layout—ATSF in Roswell in 90s. As legends go, Colorado miners would throw parties in the 1800s called “banquets” stocked with Coors. 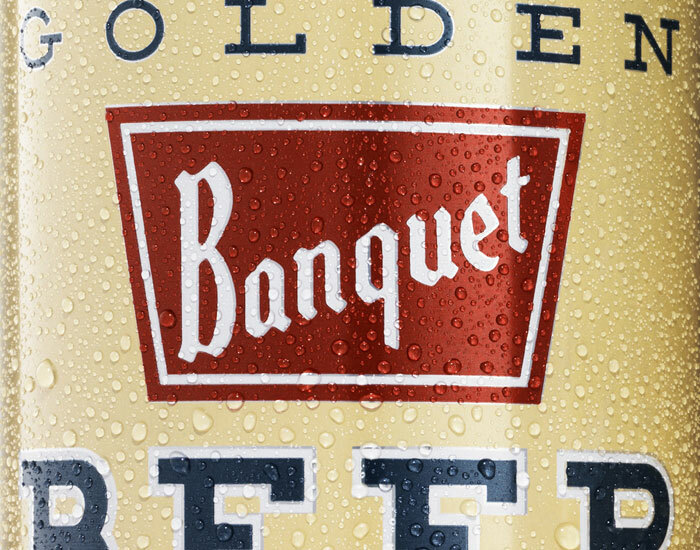 Accordingly, banquet beer became part of Coors’ name. A great deal of beer used to be shipped by rail. Coors, one of my favorite quaffing beers, still ships some beer by rail. 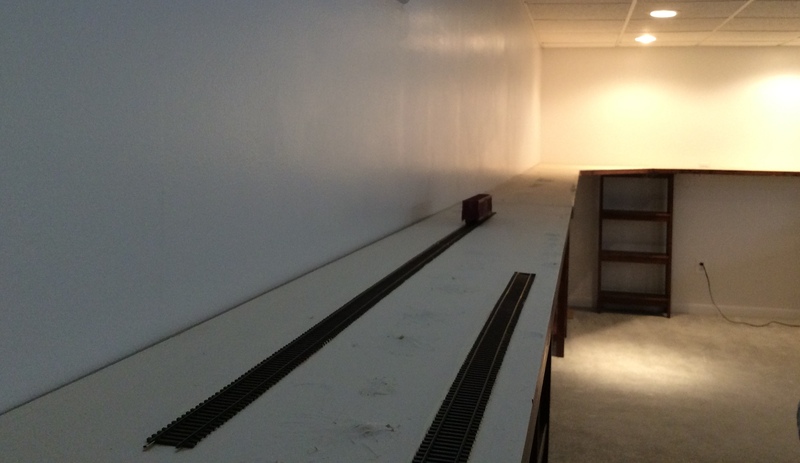 (See my post of February 9, 2014 concerning the Coors distributor in Roswell.) I like the thought of drinking “rail-hauled” beer. I also enjoy non-rail hauled beer, but there’s something special about knowing my beer traversed America rolling through wheatfields and sunsets (not too many sunsets though). I know…that’s weird–sorry. I cited Coors as a representative of the first category. 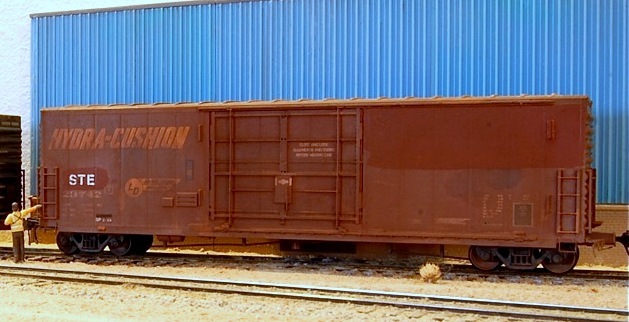 Corona also ships by rail in box cars and containers (often hauled on trains). Many brewers fall into the second category—two of my personal favorites are Shiner in Texas and Yeungling in Pennsylvania. The last category is probably the majority since many breweries are too small to take advantages of the lower costs involved in rail shipments. They may still use rail indirectly in that their raw materials may have been transloaded from rail cars before delivery to the brewery. Roswell Budweiser distributor, 1993. Note Northern Pacific box car. I did a post on it February 20, 2014. Load of Miller beer at the Roswell distributor in the early 1990s. Beer still moves by rail, but less in box cars and more in containers. Corona ships beer into the US by both box car and container. Many other foreign brewers ship by rail via containers. 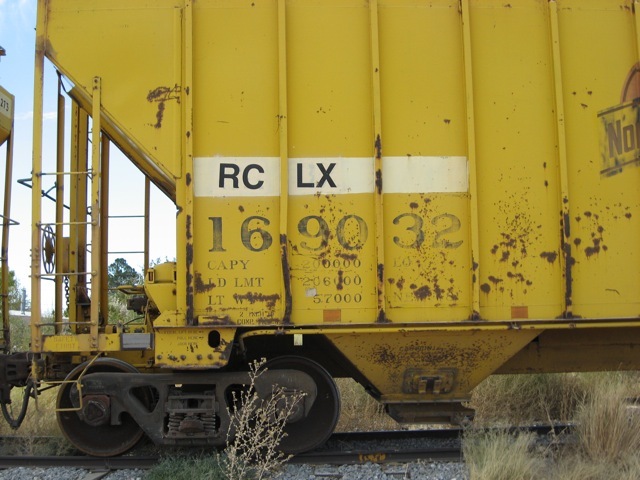 Instead of the traditional box car delivered to siding at the beer distributor, nowadays, beer (and many other products) is often handled through a transload facility. 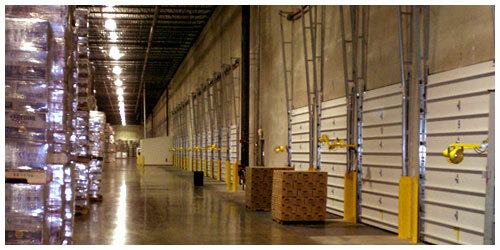 Siding at a Grand Logistics Corporation facility. Corona Beer off the rails and ready to be loaded on trucks for final distribution. Many brewers take advantage of rail to bring in materials. Yuengling brewery in Pottsville, PA. Note green dots which show covered hoppers bringing in ingredients, 2014. 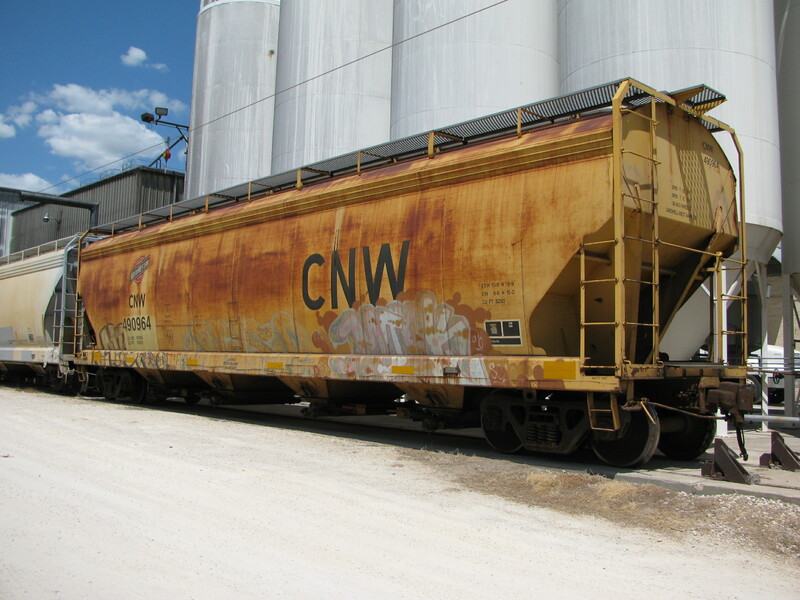 Many brewers receive ingredients by truck that have been transloaded by rail. 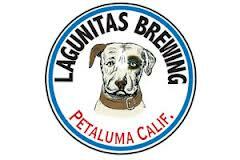 Lagunitas Brewing Company in Petaluma, CA on the Northwestern Pacific Railroad provides a great example. 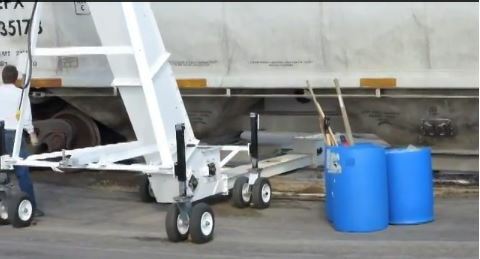 Barley being transloaded by auger from covered hopper to truck for delivery to the Lagunitas Brewing Company in February 2014. A great video is posted here. It shows the barley being unloaded, gates on the hopper being opened, car being moved manually and auger being positioned. 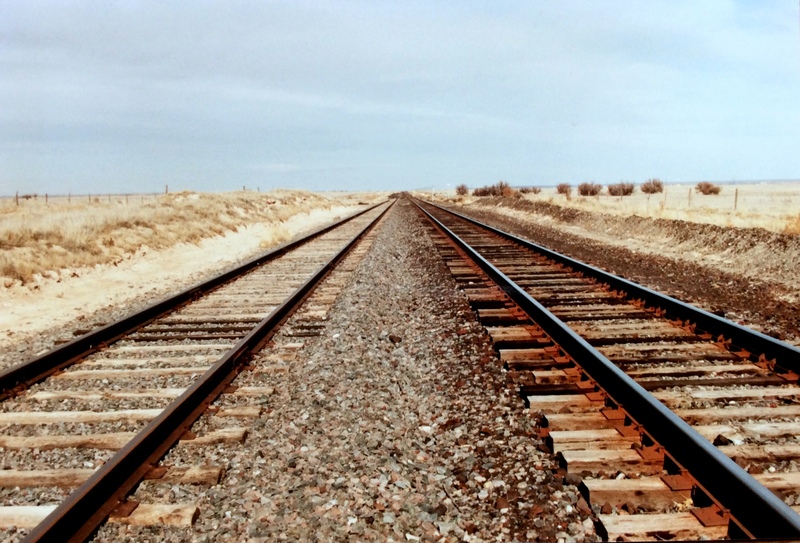 Hope you enjoyed this post on the involvement of railroads in the production of beer. Part II will focus on the “beer caddies” used to get the beer from the brewery to the distributor, especially in the 1990s. A little action on a pleasant summer morning on 1992. Looks like a little rain has been falling since everything is so green! Unit #2770 looks a lot fresher than Unit # 2703. Almost 1,000 GP-30s were produced from 1961 to 1963. They have always been a favorite for me with their very distinctive curved cab roofs. Many were rebuilt, but they are pretty rare today. 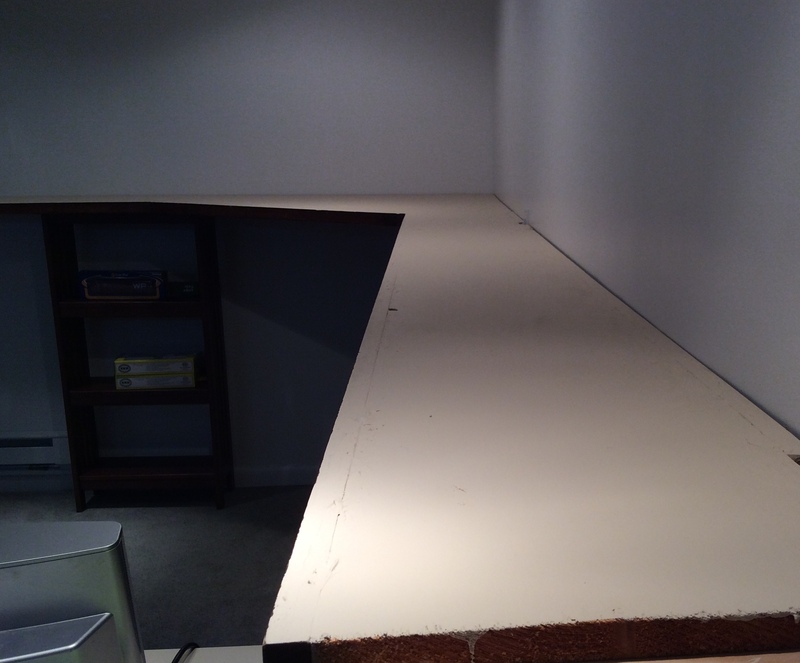 Following up on the track plan I posted February 16, here is a progress report on the layout. I have gone slowly to revise and try to perfect the actual track configuration. 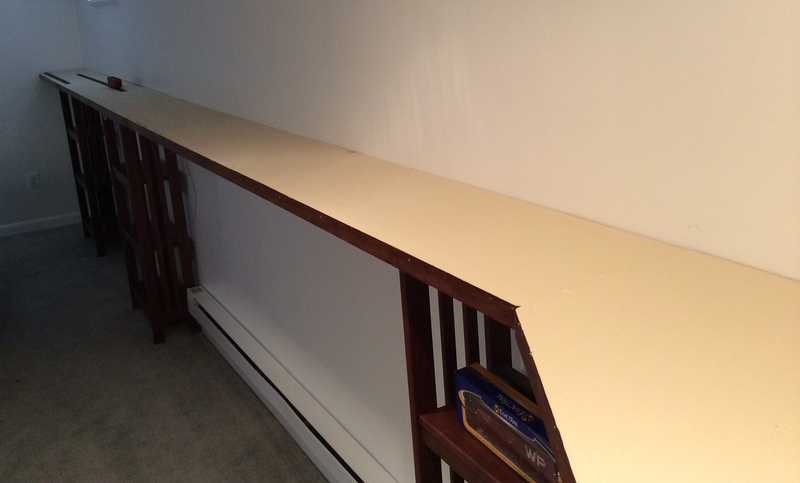 Now that I am largely satisfied with the proposed track plan, I have now installed phase I of the bench work. Phase I covers North Roswell and Downtown. Phase II, to be constructed in the future, covers South Roswell (dairy feed operations and Coors distributorship). Here are three views of my emerging HO version. Phase I of benchwork, this is looking to the north towards downtown Roswell. Around the corner in downtown area, north Roswell (direction of Portales and Clovis) is to the left of the photo. 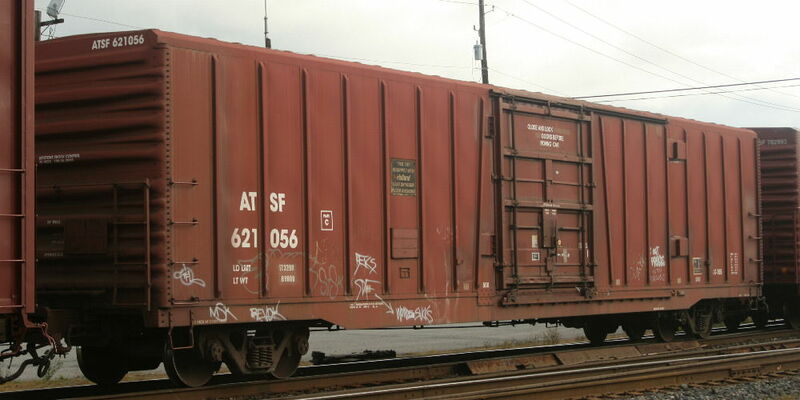 Box car sits at the approximate location of the Budweiser distributor. Looking south coming into Roswell from Portales direction. Note 60′ boxcar to give perspective. Below is a map from yesterday’s post to give the big picture. Only the area around Roswell will be modelled, but it is important to conceptualize your layout within a larger world to give purpose to your operations. More in the future as the track laying progresses. Roadtrip to 1967? … or taking the Santa Fe to see Wilbur Wood-Could it get any better? Say you are a kid in Roswell in 1967 and a devout Chicago White Sox fan. You have heard about this kid the White Sox have traded for named Wilbur Wood. 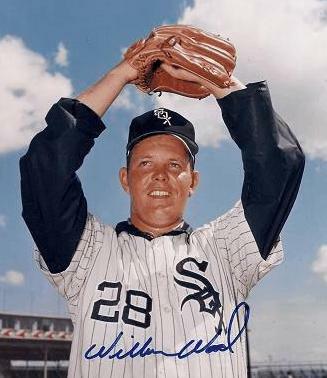 Wilbur Wood resplendent his late 1960s White Sox uniform. You really want to see him pitch. Just sitting in your dark bedroom listening to Bob Elson and Red Rush broadcast the games on WMAQ is not quite enough–especially when there’s a lot of static. You want to see a game and Wood pitch in person. How can the Santa Fe help? ATSF M160-671118 in Clovis, NM Nov 18 1967. This is likely the engine that would have pulled your train to Clovis. 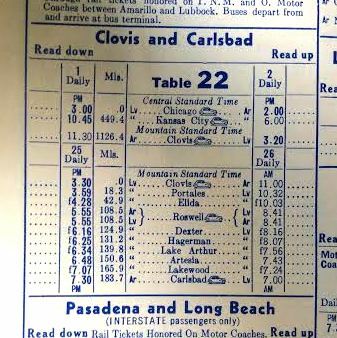 You take out your trusty ATSF time table and go to plotting. 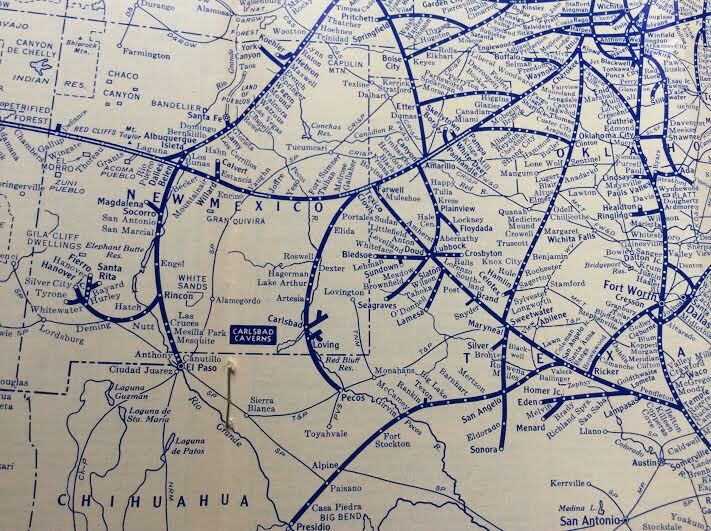 1967 map found in ATSF timetables. Close up of map showing SE New Mexico. And be in Chicago by 2:00 pm the next day. Not bad. Maybe we can catch the game that evening. Oh…the Kansas City Athletics are coming into town…maybe Blue Moon Odom will pitch…hmmm, they also have that rookie with the funny name…Catfish Hunter. Note: It was a treat to find this 1967 ATSF timetable. I hope you enjoyed this road trip into the past! On April 9th, I did a post on Johnny Horizon. 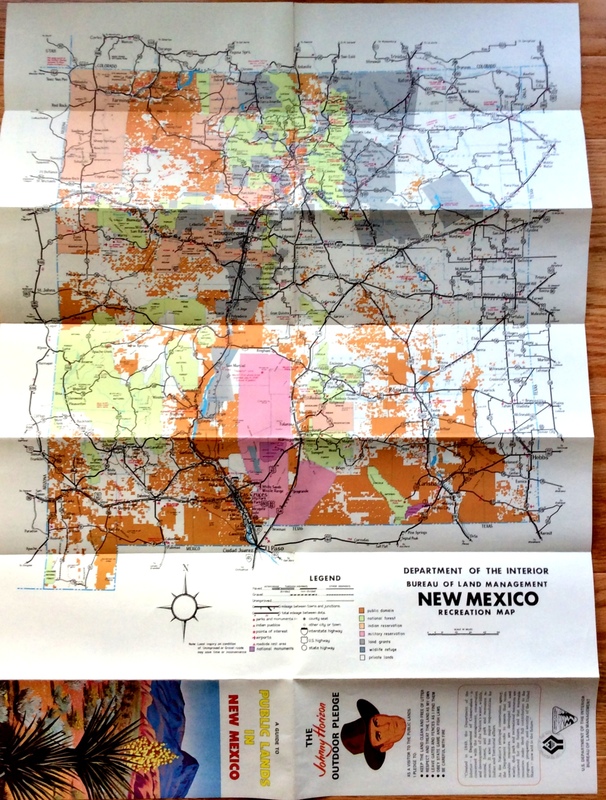 A 1968 or 1969 BLM map of New Mexico, which I picked up in a BLM office about 1990! 1960s map of NM showing public lands in New Mexico. The BLM lands are depicted in the orange-brown color. Note abundance of public land around Roswell. 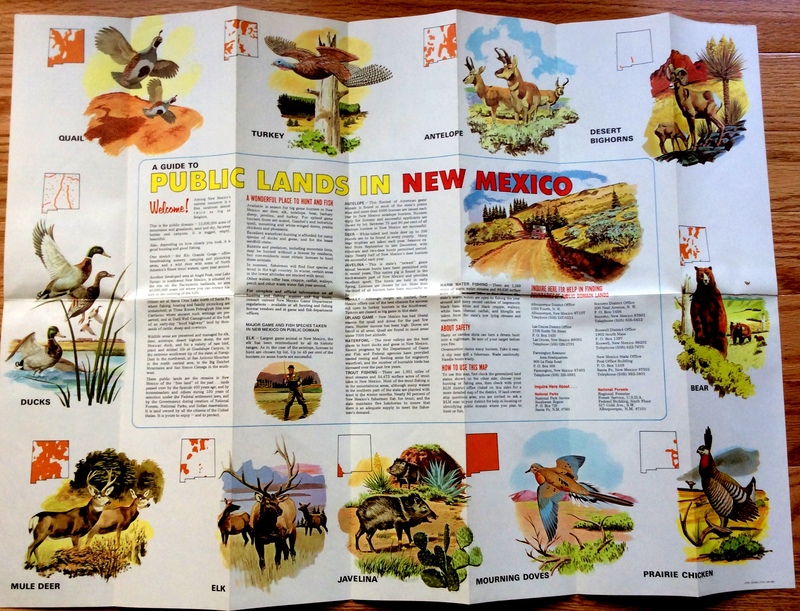 Reverse side of map which shares information on New Mexican wildlife. And lastly, look at the spokesperson! It’s Johnny Horizon! 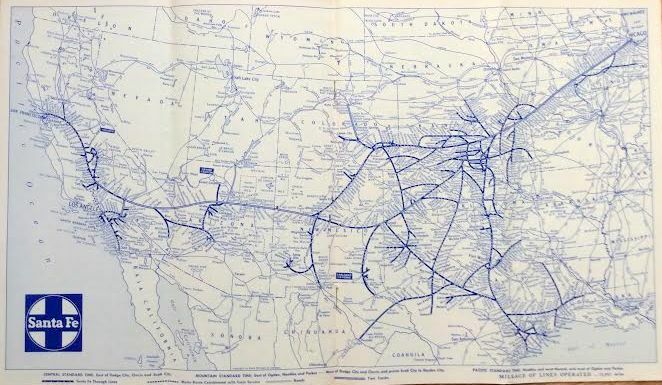 A nice map, even if it is almost 50 year old. Johnny “Ho” is still on the job in a few corners of America. I recently ran a post of a red visitor from California to Roswell in the early 1990s. 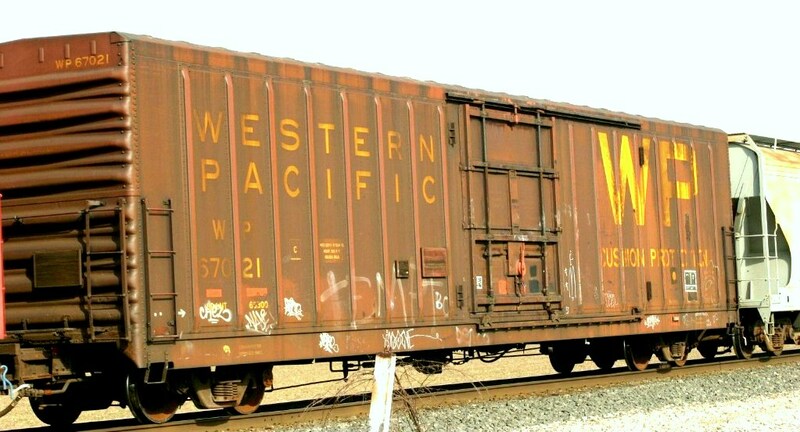 In the post I commented on the evolution of the appearance of freight cars over time. I focussed that post on weathering and graffiti. There is a different kind of evolution concerning the ownership of cars. 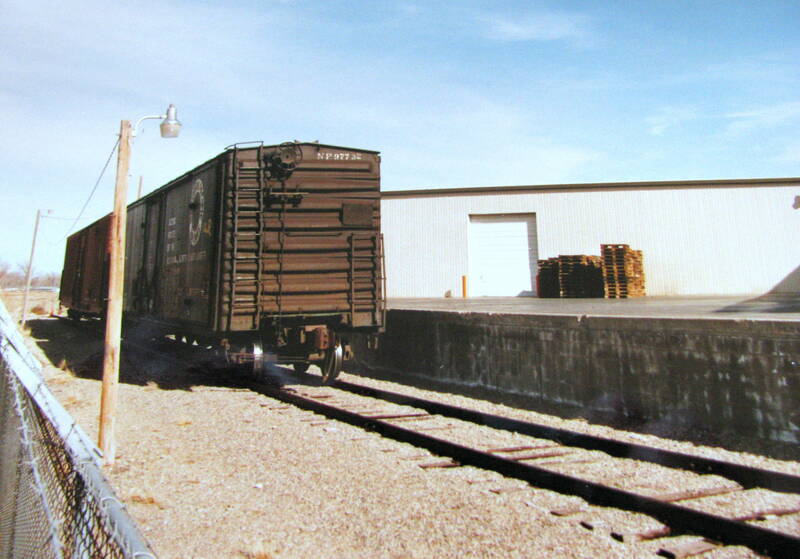 In the 1980s, the Stockton Terminal and Eastern (STE) Railroad acquired a number of box cars from the Southern Pacific and Cotton Belt Railroads. The STE patched over the Southern Pacific billboard lettering and just changed the reporting marks. A similar car can be seen in HO on B. Smith’s LCN RR. 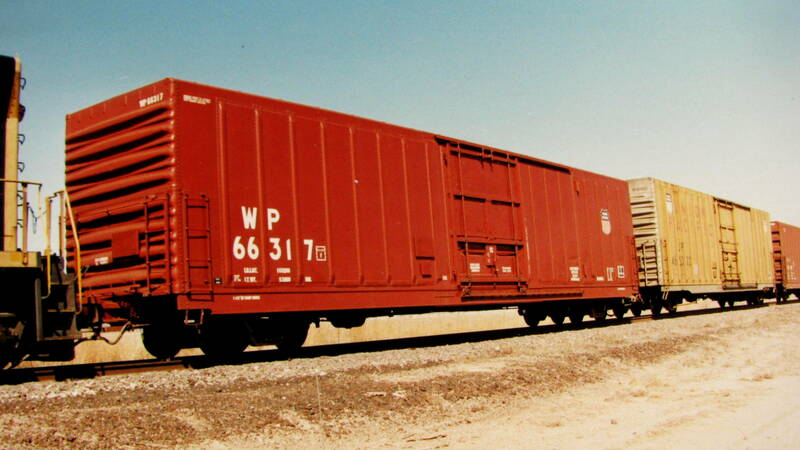 This car started out as a Cotton Belt RR Athearn PC&F 50′ box with 14′ door. It was just a matter of painting out the COTTON BELT and the reporting marks with boxcar red paint, and then applying the decals, which were individual letters (Microscale 4″, 7″, and 8″ Stencil Lettering for Patches & Leasers #2, white)–a pain to get lined up correctly. Then the NEW date was changed as well as the insertion of a more recent re-weigh date. The car was then went over with a very light application of rust powder to make everything blend together. The brown color of the car was lightened mostly by the wash of roof brown. SP and SSW had hundreds of these 50′ cars with 14′ doors both in 70-ton and 100-ton versions (only visual difference being 33″ wheels vs 36″ wheels). In 1990, STE had 239 cars from SSW and 169 from SP. STE kept the same road numbers, just changed the reporting marks. Railcar Custom Leasing, LLC #169032 (former Chicago and Northwestern) in Fort Stockton, Texas 2010 bringing in Frac sand. Embracing this form of evolution (changes in ownership)–along with weathering and graffiti–is another means of increasing the realism of your layout.